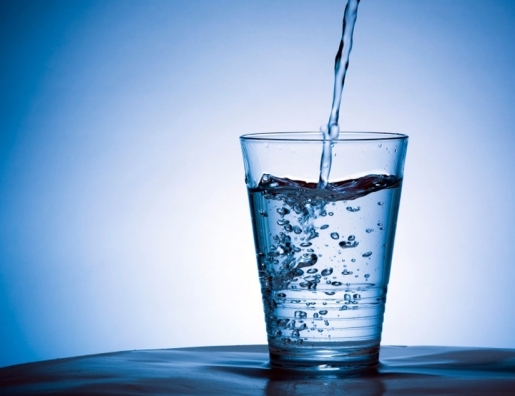 It’s extremely important to confirm your water has been purified or treated before drinking. If your water is contaminated and you don’t have bottled water, there are various water purification methods that are used today, and each method has its merits and demerits. Filtering is good for basic water tasks such as sediment and chlorine removal, but in the long run reverse osmosis is the best option. At Schultz Soft Water we focus on reverse osmosis units because they require a lot less energy and time required to make water versus distillation. When reverse osmosis is not available, there are 4 water purification methods that you can use to make your water safe for drinking. Boiling water is the cheapest and safest method of water purification. Water sources and or channels of distribution may render your water unsafe. For example, parasites and germs are things you may not see by bare eyes, but their effects can be life threatening. In this method, clean water should be brought to boil and left at rolling-boil for 1-3 minutes. For people living in high altitude areas, it is recommended to boil your water for longer than water boiled at lower altitudes. This is because water boils at lower temperatures in higher altitudes. Boiled water should be covered and left to cool before drinking. For water drawn from wells, leave it for compounds to settle before you filter out clean water for use. Filtration is one of the effective ways of purifying water and when using the right multimedia filters it’s effective in ridding water of the compounds. This method uses chemical and physical processes to purify water and make it safe for human consumption. Filtration eliminates both large compounds and small, dangerous contaminants that cause diseases with a simple and quick filtration process.. Since filtration does not deplete all the mineral salts, water that has been filtered is considered healthier compared to water purified using other methods. It’s one of the effective water purification methods that utilize chemical absorption process that effectively removes unwanted compounds from water. Compared to reverse osmosis, filtration is considered effective when it comes to selective elimination of much smaller molecular compounds such as chlorine and pesticides. The other factor that makes filtration less costly is that it does not require a lot of energy needed in distillation and reverse osmosis. It is an economic method of water purification because little water is lost during purification. Distillation is a water purification method that utilizes heat to collect pure water in the form of vapor. This method is effective by the scientific fact that water has a lower boiling point than other contaminants and disease-causing elements found in water. Water is subjected to a heat source until it attains its boiling point. It is then left at the boiling point until it vaporizes. This vapor is directed into a condenser to cool. Upon cooling, vapor is reversed into liquid water that is clean and safe for drinking. Other substances that have a higher boiling point are left as sediments in the container. This method is effective in removing bacteria, germs, salts and other heavy metals such as lead, mercury and arsenic. Distillation is ideal for people who have access to raw, untreated water. This method has both advantages and disadvantages. A notable disadvantage is that it is a slow process of water purification. In addition, it requires a heat source for the purification to work. Although cheap sources of energy are being developed, distillation remains a costly process of purifying water. It is only ideal (effective and least costly) when purifying small quantities of water (It is not ideal for large scale, commercial or industrial purification). Chlorine is a powerful chemical that has been in use for many years to treat water for home consumption. Chlorine is an effective water purification method that kills germs, parasites and other disease-causing organisms found in ground or tap water. Water can be purified using chlorine tablets or liquid chlorine. As an off-the-shelf water purification product, chlorine is cheap and effective. However, caution should be taken when using chlorine liquid or tablets to treat drinking water. For example, people suffering from thyroid problems should talk to a medical practitioner before using this product. When using chlorine tablets, it is important to apply them in heated water, as they dissolve well in water that is at 21 degree Celsius or higher. Chlorine tablets kill all bacteria leaving your water clean and safe. If you are looking for the best ways of treating your water, Schultz Soft Water is your best source of advice on best water purification methods and custom solutions to your water purification needs. Reverse osmosis is the best option, whereas filtering is good for basic water tasks such as sediment and chlorine removal. Reverse osmosis covers a larger spectrum of contaminant removal. Contact our team of experienced water purification experts to give you the best water treatment solutions. We will help achieve better health for you, your family and guests.